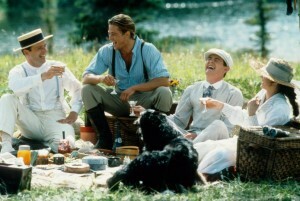 Between the late 1980s and the first few years of the 21st century, communications mogul Ted Turner had produced or oversaw a series of period dramas in the forms of movies and miniseries. Aside from two or three productions, most of them were aired as television movies on the cable network TNT, which is owned by the Turner Broadcasting System. 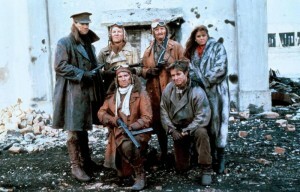 One of those productions was the 1991 movie, “IRONCLADS”. Set during the first year of the U.S. Civil War, “IRONCLADS” is a fictional account of the creations of the first two American ironclads, C.S.S. Virginia (also known as the U.S.S. Merrimack) and the U.S.S. 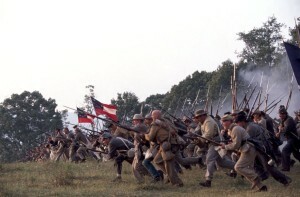 Monitor, and their clash during the Battle of Hampton Roads in March 1862. The movie began in April 1861 with the U.S. Navy personnel being forced to evacuate the Gosport Navy Yard at Norfolk, Virginia, following the state of Virginia’s secession from the United States. During the evacuation, Quartermaster’s Mate Leslie Harmon deliberately interfered with the militarily necessary demolition of the Navy Yard’s dry dock at Hampton Roads Naval Base in order to prevent collateral damage and civilian casualties in the city, as Confederates overran the base. While stationed in Norfolk, Leslie had made friends. 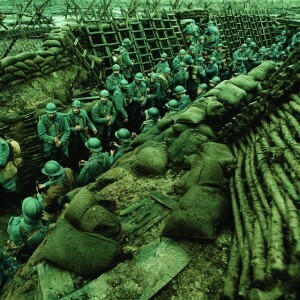 Unfortunately, his actions were noticed and he found himself facing court-martial. It seemed the newly formed Confederate Navy used the undamaged naval yard to raise the sunken U.S.S. Merrimack and refit it into an ironclad ship. Union officer Commodore Joseph Smith gave him the choice between facing court-martial or serving as a Union spy. Leslie was assigned to work with a Virginia belle from Norfolk named Betty Stuart, who had become an abolitionist and Unionist during her years at a boarding school in Baltimore. Betty had also recruited her mother’s maid named Opal and the latter’s husband, Cletus, as part of her spy ring. Using Leslie’s past actions during the Union evacuation as an excuse to label him a Confederate sympathizer, Betty introduced him to Norfolk society. This allowed the pair to spy upon the activities surrounding the development of the Confederate Navy’s new ironclad ship. At the same time, the Union Navy recruited John Ericsson to design their own ironclad ship. Many years – and I do mean many of them – had passed since I last saw “IRONCLADS”. It is a miracle that I was able to watch it, considering that it has yet to be released on DVD. 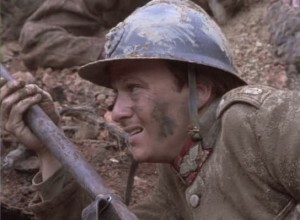 When I first saw “IRONCLADS” over twenty years ago, I had been impressed, despite it being a low-budget television movie that aired on a Basic cable station. But seeing it again after twenty-five years or so . . . I am still impressed. I honestly did not think this movie would hold up after a quarter of a century. Mind you, “IRONCLADS” had its flaws. I think this movie could have been longer . . . at least thirty (30) to forty-five (45) minutes longer. After all, it is about the first two ironclads in both U.S. and world history and I believe that Leslie and Betty’s activities as spies in Norfolk could have been expanded a bit. 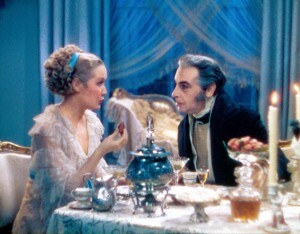 But my one real problem with the movie is the romance between Betty Stuart and Lieutenant Catesby ap Roger Jones of the Confederate Navy. 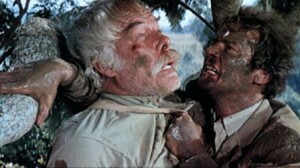 It was bad enough that Lieutenant Jones, who was roughly 39 to 40 years old during the movie’s setting was portrayed by actor Alex Hyde-White, who must have been at least roughly 31 years old during the movie’s production. Worse, Betty Stuart was a fictional character. Lieutenant Jones . . . was not. The movie did an excellent job in portraying historical characters such as John Ericsson, Commodore Joseph Smith, Captain Franklin Buchanan of the C.S.S. Virginia, Secretary of the Navy Gideon Welles and yes, President Abraham Lincoln. But the movie made a major misstep in creating a romance between the fictional Betty and the historical Lieutenant Jones. I hate it when writers do that. I still have bad memories of George MacDonald Fraser allowing a historical character to be the illegitimate son of his fictional character, Harry Flashman. And the real Catesby ap Jones was already a married man with children during that first year of the Civil War. For the likes of me, I could not understand why screenwriter Harold Gast could not allow Betty to have a romance with another fictional character, who happened to serve aboard the C.S.S. Virginia under Buchanan and Jones. Despite the above problems, I can honestly say that I still managed to enjoy “IRONCLADS”. 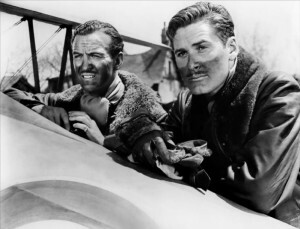 Thanks to Delmar Mann’s direction and Harold Gast’s screenplay, the movie proved to be a heady mixture of espionage, military conflict and history. 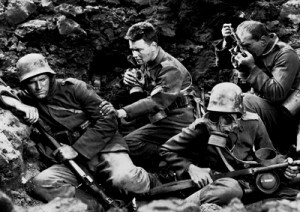 Step-by-step, the movie took television viewers on a road mixed with fiction and fact to that famous sea battle that stunned the rest of the world. What I found even more interesting – and I am sure that many might find this a reason to criticize – is that in an odd way, the production provided well-rounded characters from both the North and the South. The Betty Stuart character proved to be rather ambiguous. She was a product of the Virginia upper-class, who became an abolitionist and pro-Union . . . without informing her friends and family about her change of allegiance. And yet, her love for Lieutenant Jones led her to betray her allegiance and beliefs. 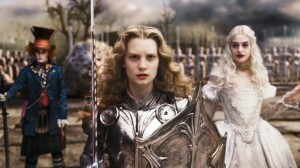 Her situation proved to be so complicated that the only advice I can give is to watch the film, if you can find it. Another complicated character proved to be the Northern-born navy quartermaster-turned-spy, Leslie Harmon. He got into trouble in the first place, because he thought more of the Norfolk civilians than destroying that dry dock. And while one can admire him for his humanity, I found it interesting that he never really considered the slaves who served the upper-and-middle-class citizens of that city. Until he became a spy and witnessed a Confederate Naval intelligence officer named Lieutenant Gilford harshly ordered Cletus to provide another glass of champagne for him. Leslie eventually confessed that he had never paid attention to Norfolk’s slaves before the war. As anyone can see, the topic of slavery managed to play a strong role in this production. After all, Betty’s embrace of the abolitionist movement led her to become a pro-Union spy against her fellow Virginians. And she had recruited two of her mother’s slaves as part of her slave ring. What I found interesting about this movie is that it presented two incidents in which Opal and Cletus had individually faced the price of being slaves. I have already mentioned Leslie witnessing Lieutenant Gilford’s harsh and racist attitude toward Cletus. But for me, I was really put off by Mrs. Stuart’s decision to limit Opal’s “visit” to her sister to once a year. It was the manner in which she made this order. I found it cool, subtle, indifferent and self-involved. Naturally, Opal serving Mrs. Stuart’s needs was more important than the latter having the opportunity to see a relative. However, this story is about the Monitor and the Merrimack. As I had earlier stated, the movie did a pretty damn good job in leading up to the events of the Battle of Hampton Roads. But let us be honest . . . the actual battle proved to be the movie’s pièce de résistance – from that first day when the Merrimack nearly made the Union blockade near Norfolk and Newport News obsolete; to the second in which the two ironclads faced each other. 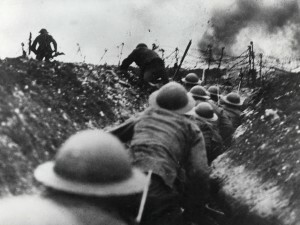 In fact, the battle took up the entire second half. Here, I think Mann, along with film editor Millie Moore, visual effects artist Doug Ferris and the special effects team led by Joel P. Blanchard did an exceptional job of re-creating the Battle of Hampton Roads. I found Taylor’s costumes colorful and yes . . . beautiful to look at. But if I must be honest, his costumes seemed to have a touch of late 20th century glamour – namely those worn by the Virginian elite – that I found unrealistic. But there were performances that I found very noticeable and effective. 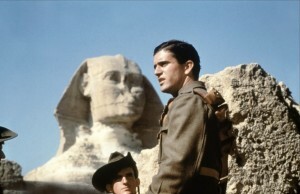 One would think that Philip Casnoff’s portrayal of naval intelligence officer, Lieutenant Guilford, to be a remake of the villainous character he had portrayed in the television adaptations of John Jakes’ “North and South” novels. 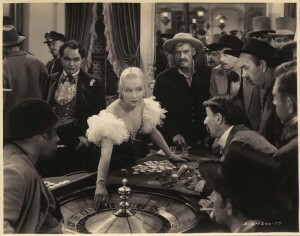 However, Casnoff’s Guilford was no copycat of Elkhannah Bent. 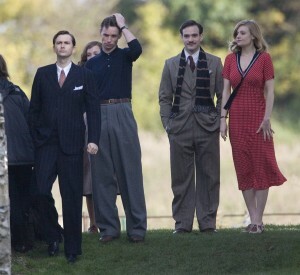 The actor effectively portrayed a cool and ruthless spymaster willing to do what it took to protect his new nation. Joanne Dorian gave a very interesting and varied performance as Betty Stuart’s shallow and self-involved mother, Blossom Stuart. At times, I found her portrayal of Mrs. Stuart hilarious or amusing. And yet . . . there was that scene in which the actress conveyed the ugliness of her character’s selfishness and racism. Another performance that caught my eye came from Beatrice Bush, who portrayed Mrs. Stuart’s enslaved maid, Opal and Betty’s fellow spy. During the teleplay’s first half, Bush gave a solid performance. But I was truly impressed by how the actress had expressed Opal’s shock and suppressed anger over Betty’s decision to inform Catesby about their findings regarding the C.S.S. Virginia’s plating. I wsa impressed by how Bush effortlessly expressed Opal’s anger without allowing the character to lose control. I also enjoyed Fritz Weaver’s portrayal of John Ericsson, the Swedish-born immigrant, who became one of the best naval engineers of the 19th century and designer of the U.S.S. Monitor. Weaver gave a very entertaining performance as the tart-tongued engineer who was constantly irritated by U.S. Navy and the Lincoln Administration’s doubts over his work or the use of iron clad ships. 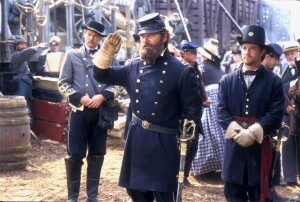 Alex Hyde-White gave a charismatic portrayal of Confederate Naval officer, Lieutenant Catsby ap Jones. The actor did a good job in conveying his character charm, professionalism. 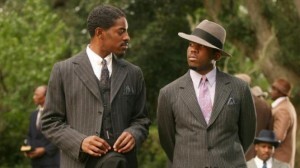 He also effectively conveyed Jones’ anger and confusion upon discovering his love’s role as a Union spy. I really enjoyed Reed Diamond’s engaging portrayal of the earnest Union Navy quartermaster, Leslie Harmon. I enjoyed how his character had learned a lesson about himself and what this war was about. He also gave, what I believe to be one of the best lines in the movies. Both Hyde-White and Reed managed to create solid chemistry with leading actress, Virginia Madsen. Speaking of Madsen, and managed to create a solid screen chemistry with lead Virginia Madsen. Superficially, Madsen’s Betty Stuart seemed like the typical lead in a period drama – a beautiful and noble woman of high birth who has become dedicated to a cause. What made Betty interesting is that she was a Southern-born woman from a slave-owning family who became a dedicated abolitionist. And this led her to become an effective and yes, manipulative spy. But what I found interesting about Madsen’s skillful portrayal is that her character proved to be surprisingly a bit complicated . . . especially when her role as a spy and her feelings for Catsby Jones produced a conflict within her. I am not going to push the idea that TNT’s “IRONCLADS” was a television hallmark or masterpiece. It was a solid 94-minute account of the circumstances that led to the creations of the world’s first two ironclads – the C.S.S. Virginia (Merrimack) and the U.S.S. Monitor – and their historic clash in Virginia waters. A part of me wished that this movie – especially the details leading to the Battle of Hampton Roads – had been a bit longer. And I am not that thrilled over screenwriter Harold Gast using a historical figure like Catesby ap Jones as the love interest of the fictional Betty Stuart. But I believe that both Gast and director Delmar Mann had created an interesting, complex and exciting narrative that was enhanced by excellent performances from a cast led by Virginia Madsen. About eighteen months ago, I had posted a list of my favorite Season Two episodes from the 1993-1998 syndicate series,“BABYLON 5”. And one of those episodes happened to be (2.16) “In the Shadow of Z’ha’dum”. For the sake of sentiment, I recently re-watched the episode to see if my views on it had changed. 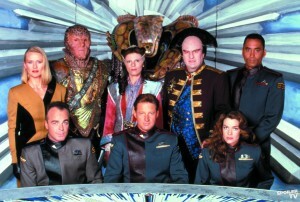 The series’ second season – titled “The Coming of Shadows” – introduced a new character to the “BABYLON 5” universe. Captain John J. Sheridan first appeared in the season’s premiere episode, (2.01) “Points of Departure” to replace Babylon 5’s first commanding officer, Commander Jeffrey Sinclair. Like the latter, Captain Sheridan was a veteran of Earth Alliance’s last major conflict, the Earth-Minbari War, which was fought over a decade before the series’ setting. Sheridan was the only Earth military commander who scored a major victory over the Minbari, who possessed superior forces and weapons. 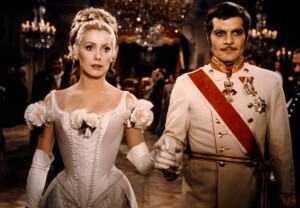 Sheridan was also a married man, who became a widower following the death of his wife, Anna Sheridan. Two years earlier, Anna was killed while serving as a member of a planetary expedition aboard a ship called the Icarus for a mission to explore an obscure planet called Z’ha’dum. The episode (2.02) “Revelations” dealt with Sheridan allegedly coming to terms with Anna’s death. But the events of “In the Shadow of Z’ha’dum” proved otherwise. The story began with the arrival of a Human named Mr. Morden to Babylon 5. Following his first appearance in the Season One episode, (1.13) “Signs and Portents”, Mr. Morden managed to form an alliance with Ambassador Londo Mollari of Centauri Prime. Using his connections with an ancient and powerful race of aliens known as “the Shadows” – whose homeworld happened to be Z’ha’dum, Morden helped the Centauri deal with its main enemy, the Narns. 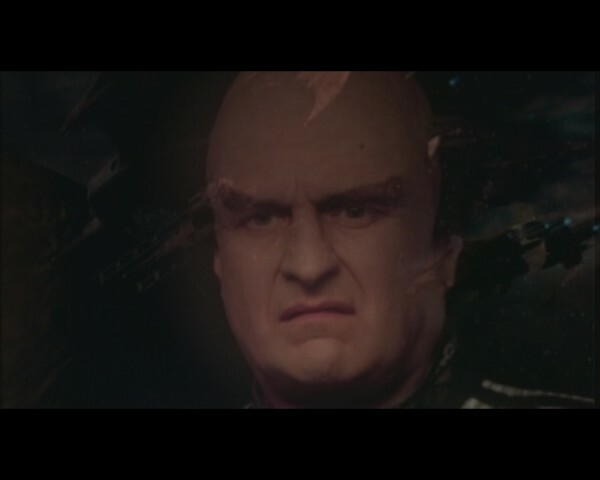 During Morden’s latest visit to Babylon 5, Security Chief Michael Garibaldi unintentionally identifies him as a regular visitor to the station during a private conversation with Sheridan. When the captain realizes that Morden had been a member of the Icarus expedition that led to Anna’s death, he has the man arrested and placed in a holding cell. Sheridan becomes obsessed with learning about the details of Anna’s fate; and also the details behind Morden’s survival and failure to inform Earth Alliance. This obsession leads the good captain to break security rules, alienate members of command staff and attract the attention of the Centauri, Minbar and Vorlon ambassadors. During my latest viewing of “In the Shadow of Z’ha’dum”, I tried to pinpoint what I did not like about it. I managed to find one aspect that struck me as unappealing. Sheridan’s manipulation of resident telepath Talia Winters’ only meeting with Morden struck me as rather forced. David J. Eagle’s direction and Christopher Franke’s score tried a little too hard in making this scene dramatic by amping up the suspense. The scene’s build up struck me as over-the-top that it almost overshadowed the pay-off of Talia and Morden’s actual meeting. It is a flaw I have spotted in other “BABYLON 5”episodes – even in some of its best. “In the Shadow of Z’ha’dum” may not have be perfect, but I believe it might be one of the best episodes of Season Two . . . and in the entire season. The ironic thing is that hardly any action occurred in this episode, aside from a well deserved slap that Sheridan received from Talia. And yet, “In the Shadow of Z’ha’dum not only helped drive the series’ main narrative forward, it also foreshadowed two major story arcs in future episodes – Sheridan’s conflict with the Shadows and Garabaldi’s role as Babylon 5’s security chief. It also foreshadowed a minor plot – namely Morden’s future fate. These story lines are major examples of series creator J. Michael Straczynski’s use of foreshadow in his writing. And as far as I am concerned, no one else did it better other than George Lucas for his “STAR WARS” movie franchise. However, I believe the best thing about “In the Shadow of Z’ha’dum” was the development of the John Sheridan character. Many fans had not been pleased when Bruce Boxleitner replaced the late Michael O’Hare, who portrayed Jeffrey Sinclair, as the series’ new leading man. They accused the Sheridan character of being lightweight and dubbed him with the nickname of “Captain Smiley”. Personally, I never had any problems with Sheridan before this episode. But this is the first time the series ever focused upon the negative aspects of Sheridan’s character. And I found it very interesting. “Revelations” had revealed that Sheridan had yet to recover from his wife’s death. “In the Shadow of Z’ha’dum” revealed that Sheridan’s inability to recover from his grief brought out the worst of him – his temper, his penchant for brooding, his stubborness, his talent for manipulation and most importantly, his ruthlessness. Sheridan’s reputation as “Captain Smiley” disappeared after this episode. For good. The episode also featured a minor story line regarding the arrival of an Earth Alliance official named Pierce Macabee. The latter represented Earth Alliance’s Ministry of Peace, which served as a security and propaganda machine for President Morgan Clark’s administration. Macabee arrived at Babylon 5 to recruit the station’s crew into Earth Alliance’s new paramilitary organization, Nightwatch. These members were instructed to uncover and report on what they perceived to be “subversive” activities – namely open criticism and defiance of Clark’s Administration. This story line was introduced in such a subtle manner that it almost seemed like afterthought. Almost. 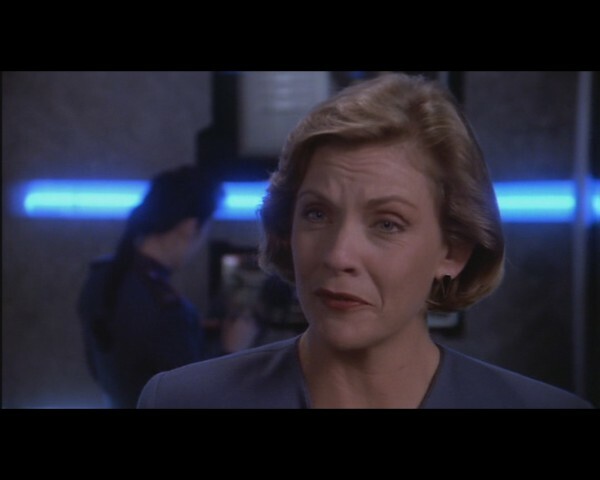 It allowed audiences to hear Macabee’s speech about Nightwatch and watch him recruit some of the station’s crew – including Zack Allen, who served with Babylon 5’s security force under Garibaldi. Although Zack joined Nightwatch simply to earn extra credits, his decision will prove to have a major impact upon the series’ main narrative, early in Season Three. 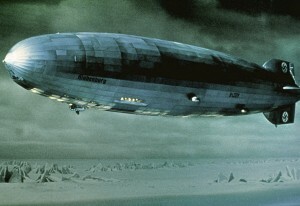 The Nightwatch story arc proved to be another example of Straczynski’s talent for using a minor story line as foreshadow. Very few writers and producers seemed capable of using this narrative device with any strong effect. Pity. “In the Shadow of Z’ha’dum” also featured some first-rate performances. Regular cast members such as Claudia Christian, Mira Furlan, Jerry Doyle and Richard Biggs gave strong supportive performances. Although I was critical of the scene featuring Talia Winters’ encounter with Mr. Morden, I certainly had no problems with Andrea Thompson’s performance. The actress did an excellent job in conveying Talia’s horror and later, outrage over Sheridan’s actions. Jeff Conway really made the role of Zack Allen his own in this particular episode. I have always believed that one aspect that made a performer a first-rate screen actor or actress, is his or her ability to react to other characters. Conway was very effective in utilizing this acting tool in his scenes with Boxleitner and Doyle. And his performances in scenes with certain supporting characters struck me as effective and subtle at the same time. Especially in one scene in which Zack arrested Mr. Morden. I also have to commend Alex Hyde-White for his guest-starring turn as Nightwatch recruiter, Pierce Macabee. He did a superb job in projecting the Ministry of Peace’s menace with such subtle charm. Ed Wasser, who made such an impression as the quiet, yet menacing agent for the Shadows – Mr. Morden – in previous episodes, continued his excellent work in this episode. However, “In the Shadow of Z’ha’dum” also featured other dimensions to Morden’s personality – fear, surprise and impatience – that Wasser conveyed with great skill. I especially enjoyed his work with both Stephen Furst and leading man Bruce Boxleitner. I have always been a fan of Furst since I first saw him in the 1978 comedy, “ANIMAL HOUSE”. His time on NBC’s “ST. ELSEWHERE” and “BABYLON 5” revealed his talent for dramatic acting. 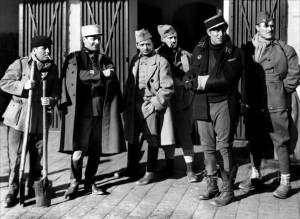 Furst effectively combined his skills for both drama and comedy in one particular in which Centauri Ambassador Aide Vir openly expressed his dislike for Morden. It is one of my favorite moments from the series. 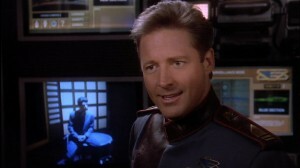 Although the “Captain Smiley” nickname for the John Sheridan character disappeared after “In the Shadow of Z’ha’dum”first aired on television, Bruce Boxleitner’s reputation as an actor suddenly gained momentum among the series’ fans. I do not understand why. 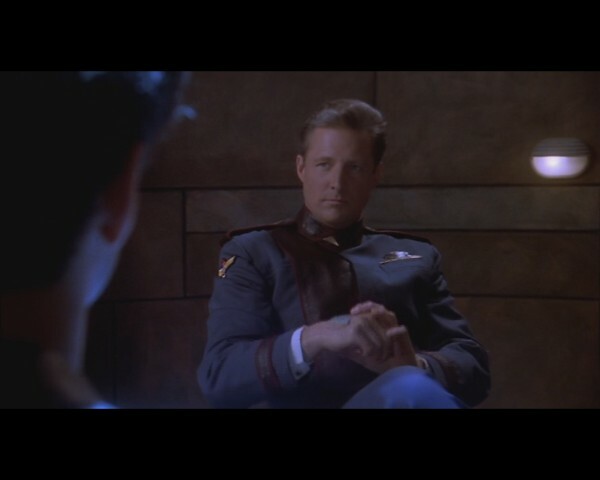 I have seen Boxleitner portray the darker aspects in previous roles very effectively. But I must say that I believe his performance in this episode may end up being regarded as one of his best. Boxleitner was superb as a ruthless Sheridan, obsessed with not only learning the truth about his wife’s death, but also Morden’s survival and revenge. It is a pity that the Emmys rarely acknowledge excellent acting or writing in the Science-Fiction/Fantasy genre. 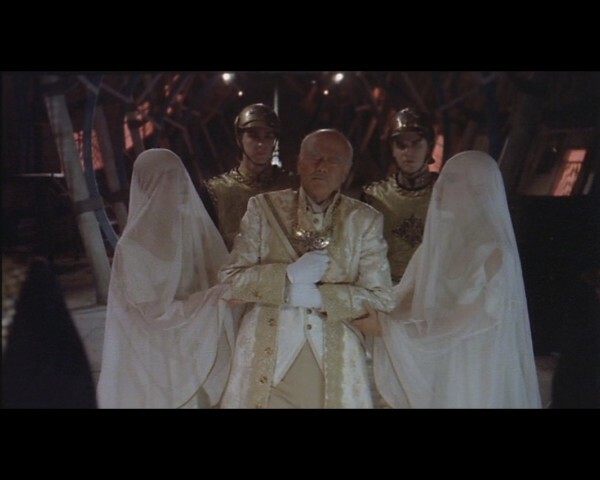 “In the Shadow of Z’ha’dum” may not be my favorite Season Two episode from “BABYLON 5”. But it is definitely my second favorite. And it is certainly one of my favorite episodes of the series. J. Michael Straczynski wrote an excellent episode about the consequences of grief for the series’ main character. Thanks to fine writing, first-rate direction and excellent performances from a talented cast – especially series lead Bruce Boxleitner. 1. (2.20) “The Long, Twilight Struggle” – In this chilling episode, the Narn-Centauri War comes to an end with the Centauri war machine’s brutal defeat of the Narn homeworld, aided by the Shadows. 2. (2.16) “In the Shadow of Z’ha’dum” – Babylon 5’s new commanding officer, Captain John Sheridan, discovers a connection between his late wife Anna and the mysterious courier M.r Morden; and makes enemies of everyone around him when he has the latter detained. 3. (2.18) “Confessions and Lamentations” – When a deadly plague threatening the Markab race with extinction reaches Babylon 5, Dr. Stephen Franklin and a Markab colleague, Dr. Lazarenn race against time to find a cure to save the Markab inhabitants on the space station in this heart wrenching episode. 4. (2.15) “And Now For a Word” – ISN reporter Cynthia Torqueman hosts a documentary that takes a look at the inhabitants of and life on Babylon 5, and the Narn-Centauri War raging beyond. 5. 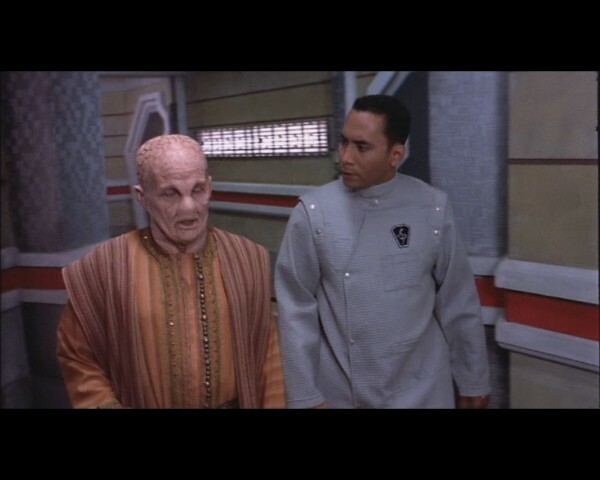 (2.09) “The Coming of Shadows” – This episode about the state visit of Centauri Emperor Turhan and the beginning of the Narn-Centauri War led to the series’ first Hugo Award for Best Dramatic Presentation in 1996.